Singer, songwriter, and undisputed "Queen of Soul" Aretha Franklin sadly passed away today at the age of 76. Her publicist Gwendolyn Quinn announced that Franklin died Thursday, August 16th at 9:50 a.m. from an ongoing battle with pancreatic cancer. Aretha Louise Franklin, whose father was a renowned Baptist preacher in Detroit, started singing gospel music at a young age. With her father gaining notoriety for his powerful sermons, a 14-year-old Aretha joined him on his "gospel caravan" tours of local churches, where she sang alongside Sam Cooke, among others. It was possibly Sam Cooke's successful transition into secular music which encouraged a change of direction for Aretha Franklin, and at the age of 18 she signed to Columbia Records. Columbia, sadly, struggled to best showcase Franklin's incredible talent over the course of the following seven years, and her move to Atlantic Records in 1967 couldn't come soon enough. Franklin's first album with Atlantic, I Never Loved a Man the Way I Love You, provided her first real taste of commercial success, with the album going to #2 on the Billboard album chart. The album's opening track "Respect" won Franklin her first Grammy Award (her first of 18), and became an important anthem for both the Civil Rights and Women's Rights movements of the time. Franklin's 12 years at Atlantic resulted in a total of 16 studio albums, including Lady Soul and Aretha Now, and many of her best-known songs, including "(You Make Me Feel Like) A Natural Woman," "Think," and her definitive version of the Burt Bacharach & Hal David classic "I Say A Little Prayer." In 1980, Franklin moved to Arista records where she was to remain for the next 24 years. During this time, she recorded a further 10 albums, starred in two Blues Brothers movies, published her autobiography, and started up her own record label. The ensuing decade was a quiet one in terms of studio output (although she did release her first and only Christmas album during this time), but was still filled with highlights such as her halftime show appearance at the 2006 Super Bowl, and her performance at the inauguration of Barack Obama in 2009. Indeed, it is a mark of Franklin's importance and popularity that she performed not only at the inauguration of Barack Obama, but also that of Jimmy Carter and Bill Clinton, as well as at the memorial service of Dr. Martin Luther King, Jr. It is maybe no great surprise, therefore, that her name is etched in history as the first female artist to be inducted into the Rock and Roll Hall of Fame. 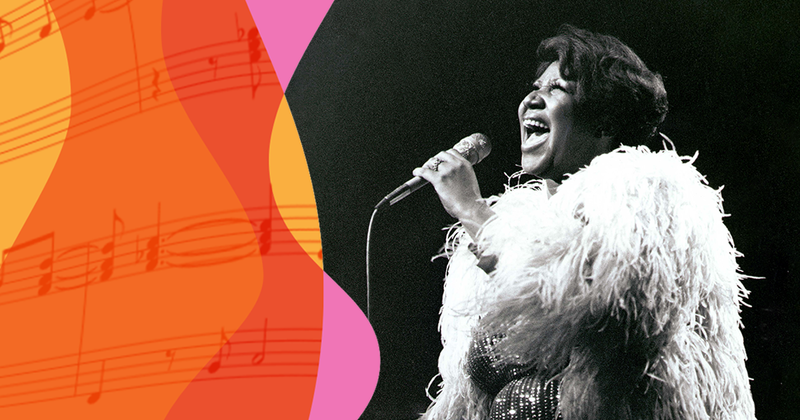 As a vocalist, Aretha Franklin possessed incredible range, power and control, and will be remembered for possessing one of the finest voices in popular music. But, beyond that, Franklin will undoubtedly be remembered as one of the most important and influential women in the history of music.